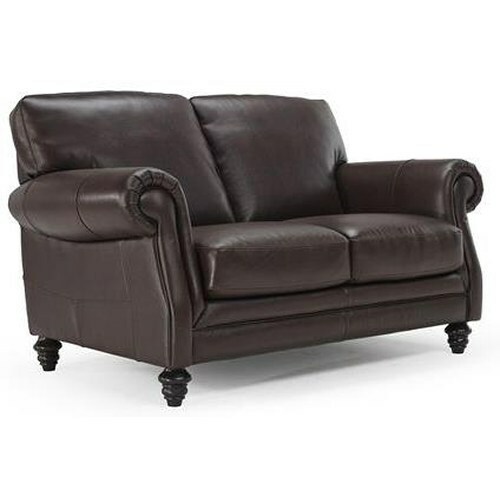 When it comes to finding the perfect sofa, loveseat, or chair the most important factor is likely to be how comfortable the seat is. No one wants to spend their precious free time sitting on an uncomfortable cushion, but knowing what goes into making a comfortable seat that will stay comfortable can be quite a challenge. Here at AHFA, we want to help you find the perfect seat cushion for your desires. What Goes Into a Seat Cushion and How Do They Sit? Foam density refers to the weight, in pounds, of a square foot of foam. Foam density isn't always representative of how firm the seat will be or its durability. 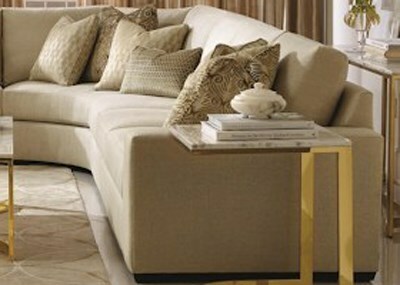 Foam and coil resiliency refers to a cushions ability to return to it's original shape and comfort as time progresses. 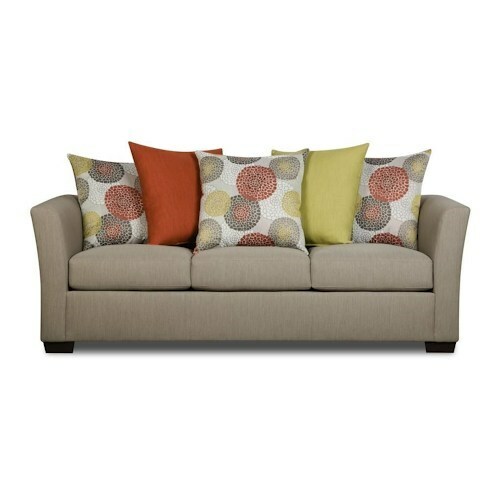 Measure your room and doorways to ensure you know what size sofa, loveseat, or chair combination will fit your room best. Test out how the sofa sits for about ten minutes in the store. When you use the sofa in your home you won't be sitting in it for small increments of time. Get a good feel for how it supports you over a more extended period of time. Down blend or full down cushions are made entirely of down or feathers and create a plush or soft seat. Down blend utilizes a mixture of down and fiber to create a slightly firmer cushion similar to that of full down. 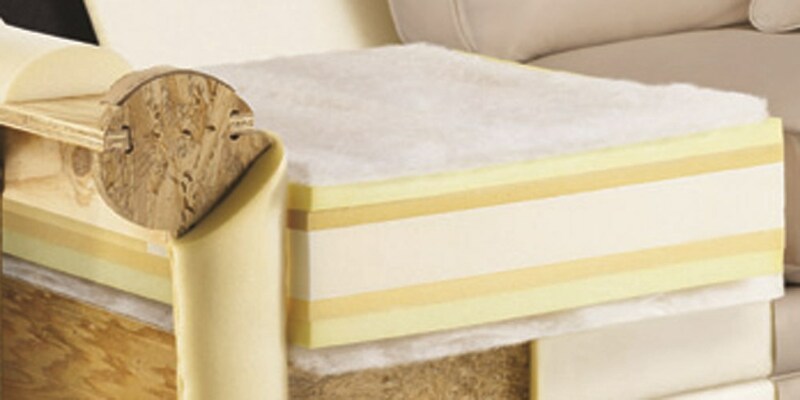 Down blend cushions typically have a foam core as pictured above. How durable is a feather seat cushion? Full down cushions are unique in that you can easily fluff, and for many refill, the cushion to regain the desired support and comfort. Many full down cushions allow you to refill them making them last longer. 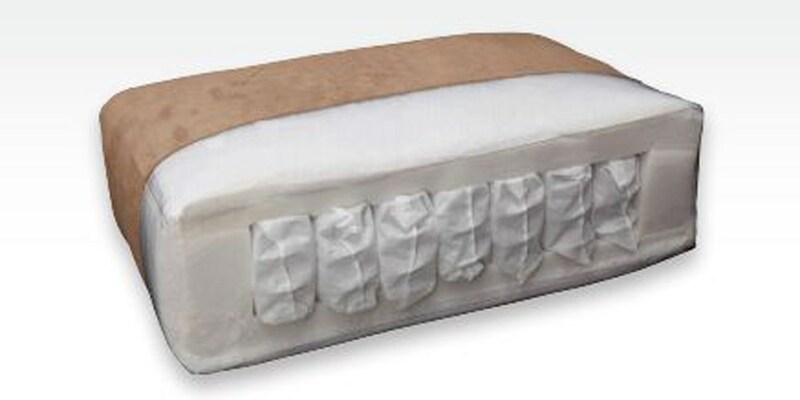 Partial down cushions durability will be dependent upon the quality of the foam used. Look for high-resiliency foam for a longer lasting cushion. Innerspring seat cushions will typically feature a series of individually pocketed coils similar to those found in an innerspring mattress. These coils are commonly wrapped in a foam layer. Innerspring seat cushions can vary from a medium to a firm seat depending on the coils and foam layer. How durable is an innerspring seat cushion? Like an innerspring mattress, durability will depend largely on the resiliency of the coils. Heavy gauge steel springs will offer a more durable seat than springs with a lower gauge. The quality of the foam used to encase the innersprings is also a key contributor to durability in an innerspring cushion. High-resiliency foam will help ensure the cushion stands the tests of time. A high-density foam is at least 1.8 lb density and typically will provide a firmer seat while medium and low density foam cushions will be at 1.5 lb density or below and normally will provide a more plush seat. 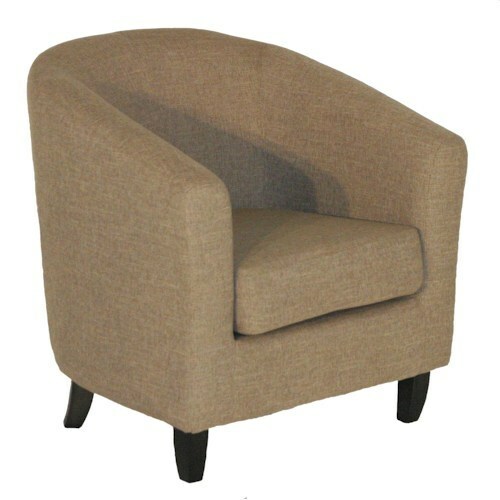 Fiber, full down, or down blend wraps on foam cushions can add comfort and help maintain the quality of a seat cushion. How durable is a foam seat cushion? The durability of a foam cushion will depend on the resiliency of the foam. A high-resiliency 1.8 lb high-density foam cushion with a fiber wrap will last longer than a 1.5 lb density cushion without a wrap. Look for higher density and high resiliency foam wrapped in fiber or down for the best quality foam cushions. 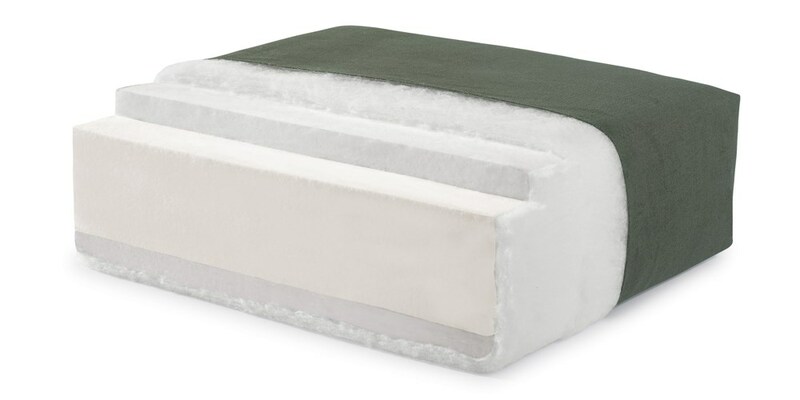 Memory foam cushions typically offer a firmer, form fitting, sit and won't be just memory foam, instead they tend to utilize a memory foam core with a wrap to combine the best of memory foam and other materials. Wraps are commonly made of traditional foam, fiber, or a gel layer. How durable is a memory foam seat cushion? Much like standard foam, memory foam is often reliant upon resiliency for durability. 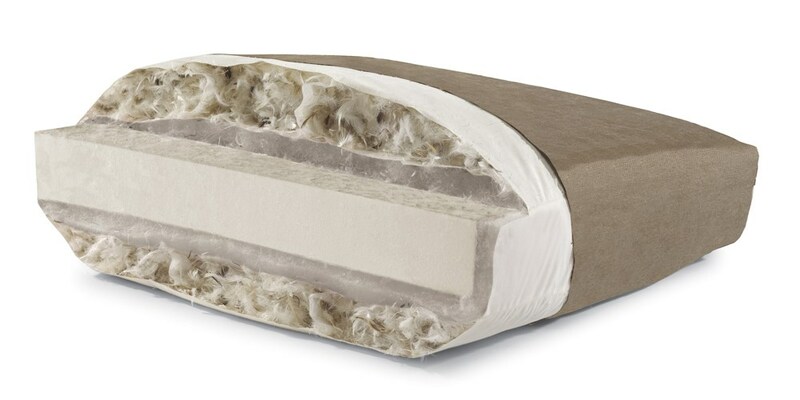 Memory foam is consistently going to be a high density foam which will help the cushion last. Seatback is completely attached to the frame of the piece. Can have firmer back which gives more support. Can't spread wear by rotating cushions. Seatback is attached along a seam and can often be lifted up to dig up a lost remote. Can be more supportive than loose cushions. 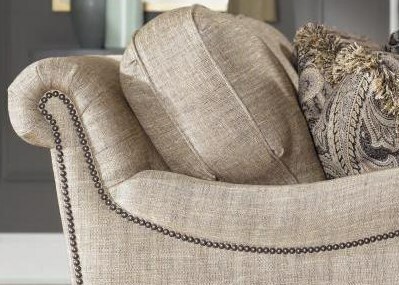 Stress along seam can cause upholstery to tear. Can’t spread wear by rotating cushions. Seatback is not attached to the frame and can be easily removed. Can rotate cushions to spread wear. Make moving day easier by removing seat cushions. This not only lightens the load but can also make it easier to fit through a doorway. May be able to flip cushions to hide stains. Cushions can slide, potentially negatively impacting comfort and look. May need to be fluffed regularly. 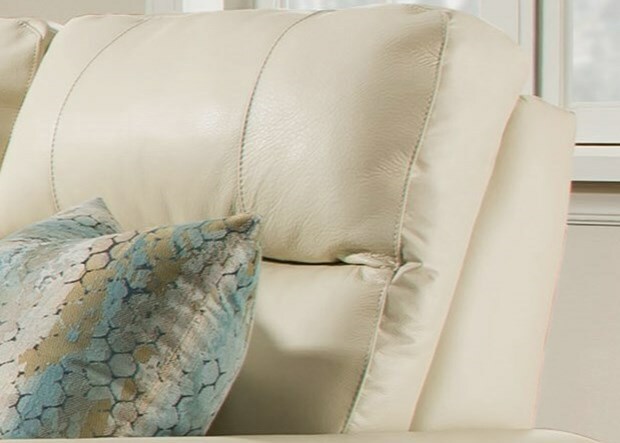 Now that you've learned about the factors that go into constructing a quality sofa, loveseat, or chair cushion check out some of what we have to offer or ask us a question to learn more!